Syllabus of the Online Course (Subject): Autonomous Port of Lomé. Access to Burkina, Niger, and Mali. 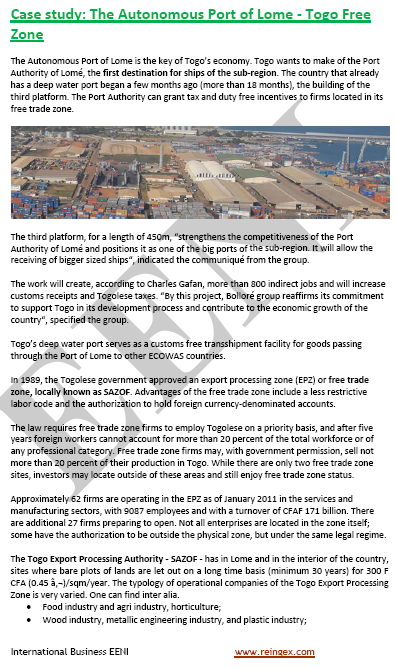 Togolese Free Trade Zone/Export processing zone (SAZOF).